Sure, there’s probably a lot of different ways to downhaul your sail, but I thought I’d just show you my technique. The key is that it’s quick, easy, simple and most importantly, VERY friendly on your back. Using your legs to apply the pressure and supporting the load with your back through the harness you can apply a considerable amount of force without damaging your back or wasting valuable sailing energy. With only two wraps of the rope around itself you can pull the rope shorter quickly and easily without having to muck around with knots or the like. This downhaul technique works better with superior ropes, such as the Marlow “Formuline” (which is identical to the rope now supplied with 2008 NeilPryde Extensions). As this rope is thinner (3.5mm??) and very slippery compared to other ropes you can pull the downhaul on very easily. Too many times I have seen people struggle with downhauling their race sails simply because they wouldn’t spend the extra few $$$ to get a decent rope. Your sail is probably worth over 1000 euros, why not spend an extra 4 euros and buy some really nice rope?! There are other techniques available but I thought I would share this one with you because I think it’s the simplest and quickest way to downhaul your sail that also allows you to “feel” how much downhaul you are putting into your sail. 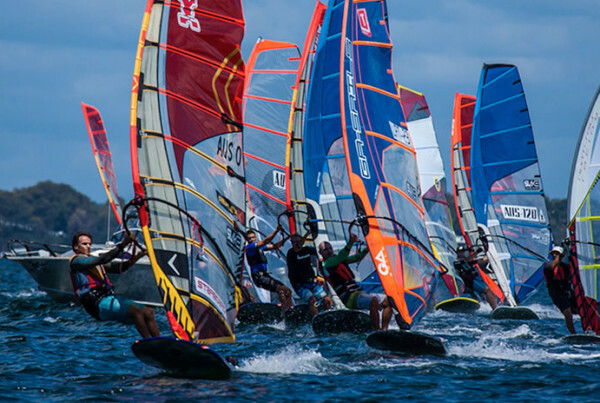 Ask any pro-windsurfer, they downhaul their sails by “feel”. No idea what that feel is? Maybe you are using a crank. Downhauling with this method – which is effectively by ‘hand’ – will allow you to feel how much tension you are putting on and over time and with practice you will start to feel the zone when the correct amount of downhaul is applied. But make sure you go and test it on the water afterwards just in case! Previous PostHow fast can your FW kit go? I’m not so sure about the ‘save your back’ part of what you’re suggesting. Mind you, it’s what I do on the water or on the beach if I don’t have a crank handy, and it works just as advertised. I still prefer using a crank, however. When you pushing out with your leg while putting pressure on your back through your harness, you’re putting a bit of a twist in your lumbar spine while compressing it. 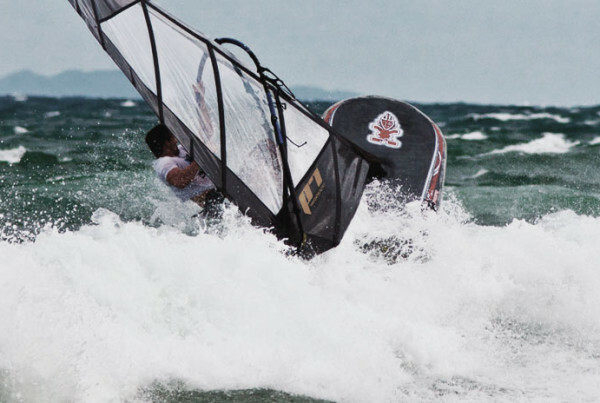 That kind of thing happens quite a bit in real life, as well as in windsurfing. It also is, according to PT friends of mine, a pretty good way to put some wear on the disks in your lumbar spine. So why put unnecessary wear on them? Maybe I’m just a bit more paranoid than the average guy – my dad had a pretty bad case of a ruptured disk that nearly cost him his mobility for good, so I’ve been a bit compulsive about back health and core conditioning ever since. Still, it seems like an unnecessary risk to take. Does that hold true with a seat harness as well as a waist harness? Seems like a seat harness would position most of the pressure against your pelvis rather than your lumbar region. I’ve used the harness technique described here when making adjustments on far shores. But when rigging, particularly when rigging high-downhaul sails, a crank is capable of such subtlety that it invites you to tune the sail with great precision. I bought my crank thinking "It will be good for my health". What I’ve found is that it’s more important for precision adjustments. I’m sure the load is less awkward on the spine than would be the case with a waist harness, but there’s still rotation/compression. Of course, when you’re doing functional core training at the gym (where you would work with rotation and force that crosses from one side of the body to the other, or where you work with assymmetry to achieve stabilization), you also work with rotation – the difference is that if you’re doing that purposefully, you’re doing it with good form – and you’re not likely to add the compression bit. But when you’re hunched over, and you’re in that head-space of wanting to get out on the water, you tend to be a little more sloppy – which can then lead to awkward loads on the spine. Of course, the more core work you do at the gym, the better your body is able to protect itself from those things. @ Andreas yes, core stability and strength is very important not only in this downhauling technique but in windsurfing in general. The loads you put on your back and shoulders when you lean the sail down to gybe on a 12m is quite incredible. Pumping an RSX too (but lets not get into that). I wouldve thought the compression would be within reasonable levels as this should be the same motion as doing a squat (or 45 degree leg press if you go to the gym). With the seat harness you are taking the load quite low, around your pelvis provided you dont sit too far upright and then pushing from your leg the quads are really taking the load. If you use the correct rope it really should be no effort at all to apply the downhaul. If you are really straining to push with your legs then I would suggest buying new rope, lubricating your pulleys are even buying a different extension. 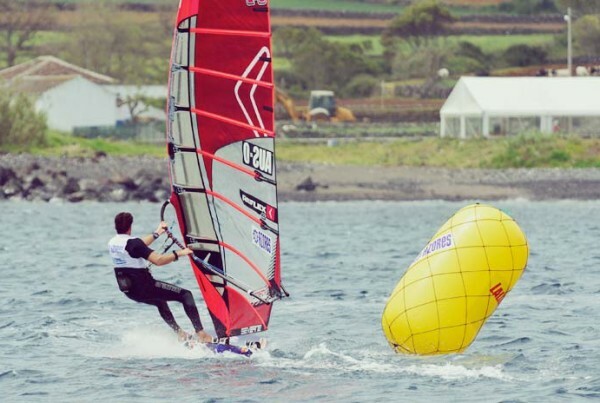 Ive watched countless girls on the RSX circuit use this technique and generally they are nowhere near as strong in the legs as us guys and yes the RSX sails require just as much tension as a 10.7m RS:Racing. I tested this technique today with a waist harness and now can say DO NOT use a waist harness with this technique as I believe you do put the load on your back as you tend to sit more upright. You could probably get away with it if you put the waist harness on around your hips instead of your waist but a seat harness gives far greater support spreading the load over your backside and strapped around your legs the load is locked in and not sliding around. Great discussions btw, Im hopefully going to ask my PT and physio what he thinks and get a professional (and non-windsurfers) opinion on this. Would be good to know if we really are destroying our backs! For the record, my Dad likes this technique over a crank and he has a degenerate disc and displaced vertebrae in his back (thankfully genetics didnt pass this on to me!). @ Michael yes, you can be quite precise with a crank but it depends on what precise means to you. I used to measure my downhaul in mm to the decimal to make sure I would always rig my sails the same each time I went out, but after a few months I would get complacent about how far my sails have stretched and I also think sails downhaul slightly different (0.5 mms Im talking) if youve rigged them wet on a cool day or dry on a hot day. This was the reason I suggested downhauling sails by feel and then testing them on the water. Most of the top sailors are using this technique because sails can change over time and also you may want slightly different downhauls for wind/water conditions. It takes a while to master, but once youve downhauled it like this for 20-30 times over a few months you will start to feel exactly where the right setting is. Of course, still measure it with your ruler and draw a squiggle on your leech with a pen to where your ideal setting is (make it as easy as possible to replicate!). Another thing you can instantly notice by feel is if your mast is not together. You downhaul and suddenly it feels tight too early. Maybe a cam is not popped on, or your mast is not together at the ferrule by only 1cm. Dont break a mast or squash a cam. Ive crunched a few cams with a crank in my time simply because its easier to downhaul and just keep cranking until its too late. Great discussions guys. Lets keep it going. Wow, that last comment is nearly longer than the article! Great post btw, I have seen this technique done before, i think its quite good, as you say, for saving time. I have just started Formula sailing and am really loving it. The thing I struggle with is how to carry the gear to the water. Both sail and board are huge and heavy and I do not seem to get good leverage for lifting it up. It’s OK when it is really windy and I can get some wind under the sail but I am finding it near impossible in light wind. What is the best technique (also in different wind directions, front/side/back)??? I carry my gear in two different ways – on my hip and on my head. “On my hip”: put the board to windward, resting on the fin. grab the front leeward footstrap with the windward hand, and the upper side of the boom with the leeward hand. Now it ought to be possible to lift the board, then the rig and carry it to the water. “On my head” – it’s easier to try this in shallow water. From a beach start position, grab the mast under the boom with the windward hand and support the sail with your head touching the sail at about where the wide luff sleeve starts, a little above the bottom batten. Grab the windward rear footstrap with the leeward hand and lift the board. I guess I should have added a video, eh? Sean might do that once he gets round to it. @ Felix – I think Christian has summed up the techniques perfectly. Probably the easiest way to carry it is on your head because you are taking most of the weight balanced easily on your head and there is enough wind and counterbalance from the board under your sail to keep it all balanced and feeling light. When you pick the gear up with one hand on the boom and the other on the leeward strap (on your hip basically) it can be a real workout to lift the sail high enough to get the leech of the ground. That method is ok for short distances but if you have a 50m walk to the beach its better to put on your head. Thanks guys, “on the head” seems to be the way to go, as this makes it easier to carry it into the deeper water required for the long fin. Just to clarify, the sail is actually resting on your head whilst you are doing this, right? Or are you carrying the weight on your arms for the whole distance? And this works also when the wind is say coming from behind (as you leave the water)? I haven’t got a specific video, but if you go here: http://vimeo.com/4972345 and right at the beginning (not perfectly clear due to the effects) and also at the 0.53 secs mark you can see me putting the sail on my head and walking to the water. Gear is facing ‘slightly’ upwind compared to normal running angle, one hand on the mast under the boom, the other picking up the windward back strap. Notice my head is placed on the seam of the luff and panel of the sail. Best to try and put your head on or close to the luff pocket, as you are likely to tear/crease your sail if you put it on the panel. It works for wind behind you also (in the exact same way). You can control the tilt of the sail by twisting in to the wind or not and by lowering/raising your arm holding the footstrap.